I have always been a big fan of avocado. Okay, maybe not always…but as my taste buds developed and once I actually tried them (at 16), I fell in love. Avocado was a food that I thought was just added to a recipe for the texture, but I had no idea until I went to college how impressively nutritious it is! Did you know that avocados provide a natural health promoting vitamins and minerals? Avocados, due to their mono and polyunsaturated fat content, are a great substitution for foods rich in saturated fat. Avocados also contribute nearly 20 vitamins, minerals and beneficial plant compounds that can contribute to the nutrient quality of your diet. This is the fat that you MUST include in your diet and it will also help you to stay fuller, longer so you snack less. It is also a great way to get healthy fats into your baby’s diet! 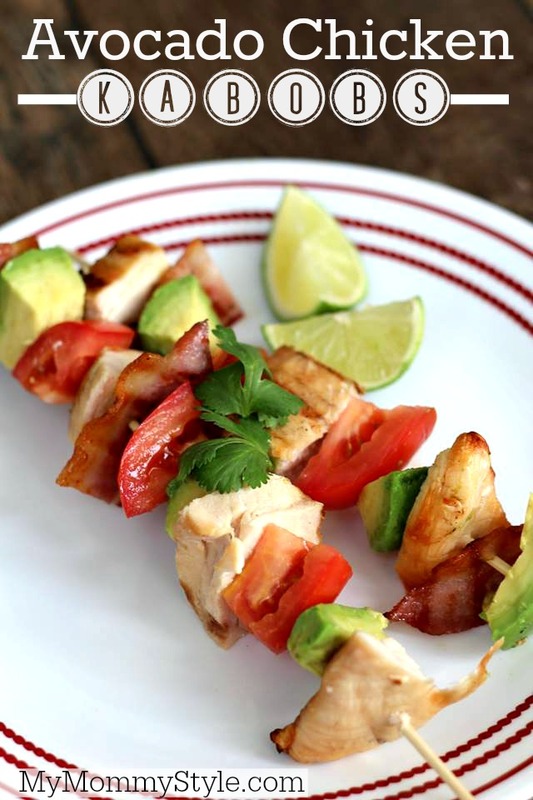 This avocado chicken combination has got to be one of my favorite recipes as it is so fresh and easy to do. The flavors blend so well and a bonus is that it is super healthy! Sprinkle your chicken breasts with seasoned salt. Preheat a grill or grill pan over medium heat, BBQ your bacon and chicken right onto the grill making sure to grill thoroughly. We love cooking our bacon this way as it makes for easy clean up! 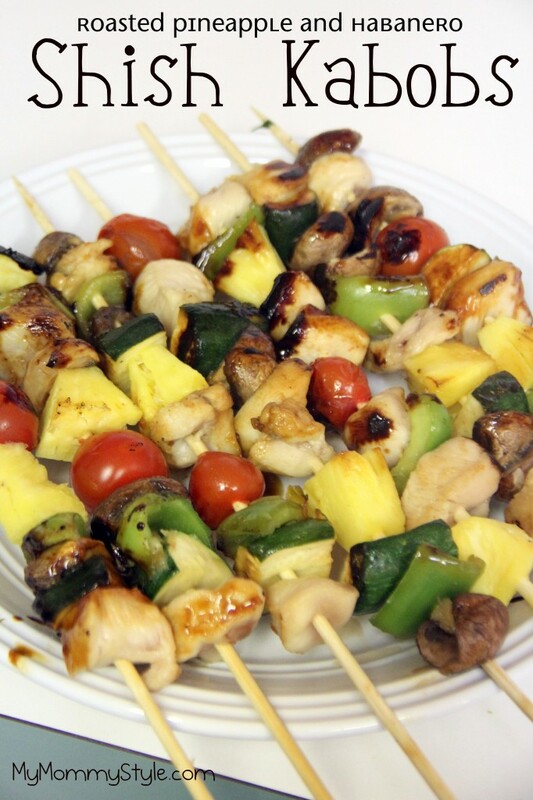 chop up all ingredients and assemble your kabobs! I learned that they are a great source of potassium! A fact I learned from watching the video is that avocados are fruit. Honestly I learned that vegetarians and verternarians are not the same thing, I mean seriously…Who knew?? ?